This is not your average Paint & Sip! We all know Friday nights in Dallas can be a bit quiet. No real moves to lead us into the weekend! You asked us for a different type of Friday; look no further — Here it is! 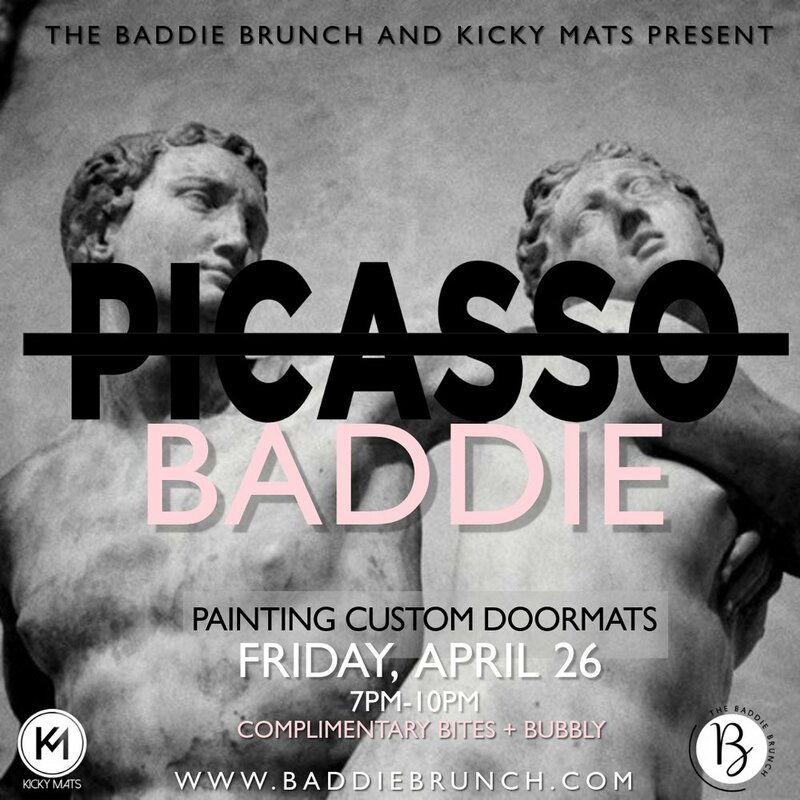 We're partnering with @KickyMats to bring you Picasso Baddie. Join us at Johnavich Studios, Friday, April 26 from 7pm-10pm! We'll be putting a Kicky Mats twist on the normal paint and sip parties. Instead of painting your typical canvas, you get to paint a custom doormat! How's that for a keepsake?! -Complimentary wine, bubbly, and bites! -Get ya Picasso on, chile! We're providing all you need to create your custom doormat! We're just hanging out, networking, and talking about life, liberty, and the pursuit of Baddiness! We can't wait to paint and drank witcha! We took Tulum last year, and we’re back with another takeover! The Baddies & Bosses are back with another retreat, and this year, we’re taking CANCUN! July 25-July 28, join us in Cancun, Mexico for three days of networking, exploring, recharging, and just flat out FUN! This year will be bigger and better – we planned this trip with YOU in mind! Complete with Baddie Boss mixers, morning yoga and meditation, a lit Baddie Boss Boat Party, a night on the town, and an entire day to yourself — you WON’T wanna miss this retreat! We’ve even invited some of your favorite Influencers to embark on this journey with us! 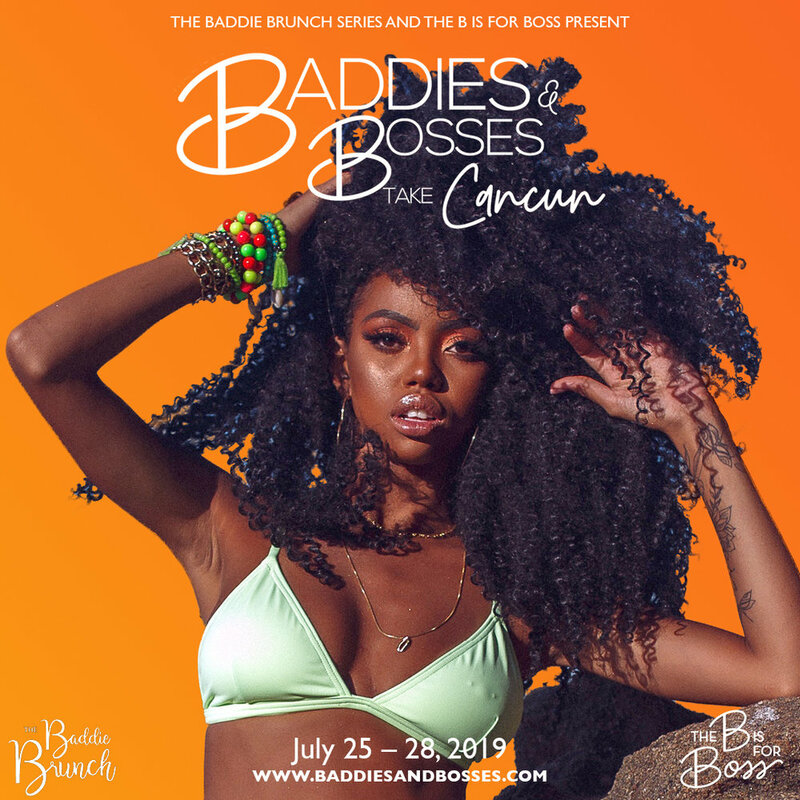 Head to www.baddiesandbosses.com for more details, payment plans, and secure your spot TODAY! Early Bird registration ends March 15, so secure your spot ASAP! Need more time to rally your sqaud? That’s cool! You can register after March 15, you just miss out on that early bird pricing! Don’t have a sqaud? That’s cool, too! We do offer roommate pairing! We got you, girl! See you in Cancun! Adios, Baddiana!